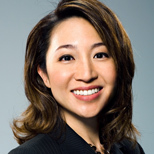 Peggy Liu, Chairperson of JUCCCE, leads a coalition to catalyze smart grid, sustainable cities and consumerism, and foster international collaboration with China. She is an advisor to M&S and HP and the WEF Global Agenda Council on Sustainable Consumption, and a WEF Young Global Leader. She has been a venture capitalist, an Internet pioneer and a McKinsey consultant, and is a MIT graduate in EECS. She spoke at Ensia Live on March 27, 2013.